Whether you’re experiencing trouble with an overgrown bush rubbing against your home or one of your old shrubs interrupting your brand new landscape design in Bradenton, FL, there will always be circumstances which arise that can necessitate shrub removal in Bradenton, FL. If you find yourself in need of Bradenton shrub removal services, however, there’s more involved in the process than simply pulling up the shrub like a weed. Shrub removal in Bradenton, FL is an incredibly involved process which if not done properly can lead to damage which extends from your Bradenton landscaping all the way to your plumbing and electrical lines if the roots run deep enough. As a result of these risks it’s absolutely critical for homeowners to get in touch with professional shrub removal Bradenton, FL specialists like those here at Chop Chop Tree. 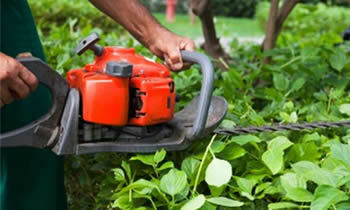 Why Choose Chop Chop Tree for Shrub Removal in Bradenton, FL? The Chop Chop Tree team of shrub removal Bradenton, FL specialists are dedicated to providing each and every homeowner with the high quality, efficiently and dependably performed services they need to safely and affordably design the landscaping solutions which they need to feel totally and completely satisfied with their home when they come home. If you’re interested in learning more about what professionally performed shrub removal in Bradenton, FL can do to improve the look, value, and reliability of your home’s lawn then it’s never been easier! Simply call our friendly and knowledgeable professionals at (941) 202-5080 to reserve your free at-home, no-obligation consultation and estimate for all your individual Bradenton shrub removal services.